with Dyffryn Conwy Paddlers ? 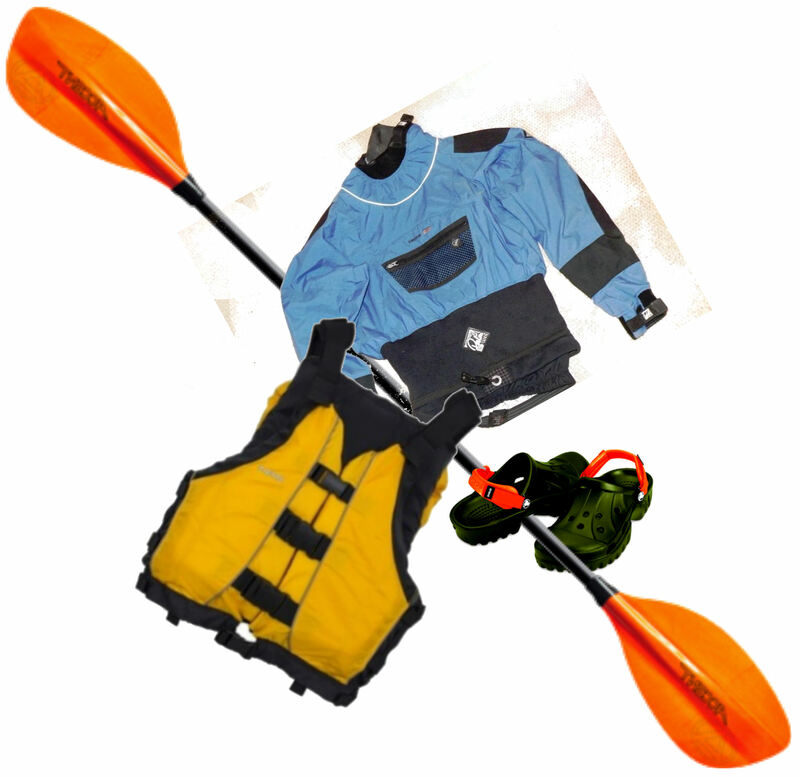 We can provide a kayak, a paddle and a buoyancy aid. Do bring spare warm clothing as you are likely to get wet from paddle splashes. 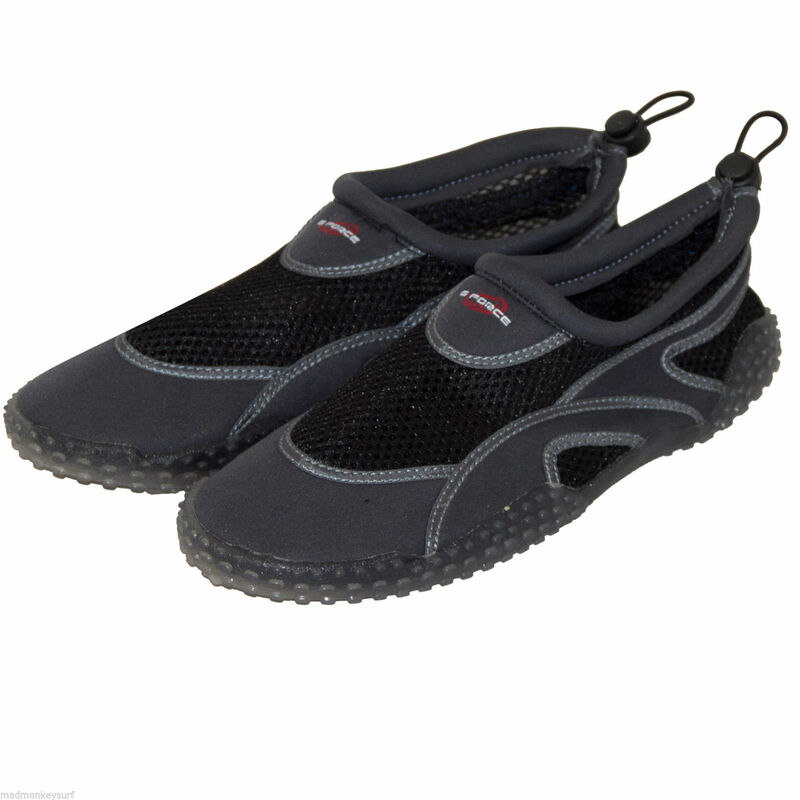 Beach shoes are best as the boats are controlled by rudders, but old lightweight trainers will work. Whatever you wear on your feet is likely to get muddy. 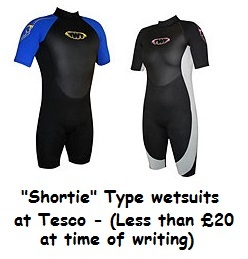 Wetsuits are advisable in winter but not generally required the rest of the year. 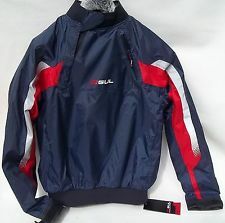 A cagoule will keep inevitable water splashes from chilling you in your first few try-outs. Do chat with us before the day if you are worried about what to bring.Check out your local sports shop or online stores -including the Tesco website HERE. These are basic items you might like to get either for your try out session. The basic items shown aren't the most expensive kit. They can be bought in sports shops or online (eBay etc) or again at Tesco or other large chain stores. Cost vary a lot. Unless you are absolutely sure you want to stick with kayaking, don't spend a fortune on kit for a try out session. 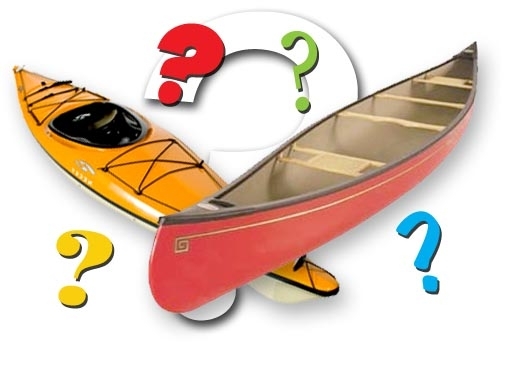 What do I need to know before going paddling for the very first time ? Who will be your mentor and how to contact in an emergency? Plan to relax and enjoy yourself ! Of course, the above list doesn't cover everything. You might also be worried about your fitness or ability, how you need to 'perform' in the eyes of others, what to do if the kayak tips over, etc. DCP will try to put your mind at rest about all these things. Do let us know if you have particular anxieties. 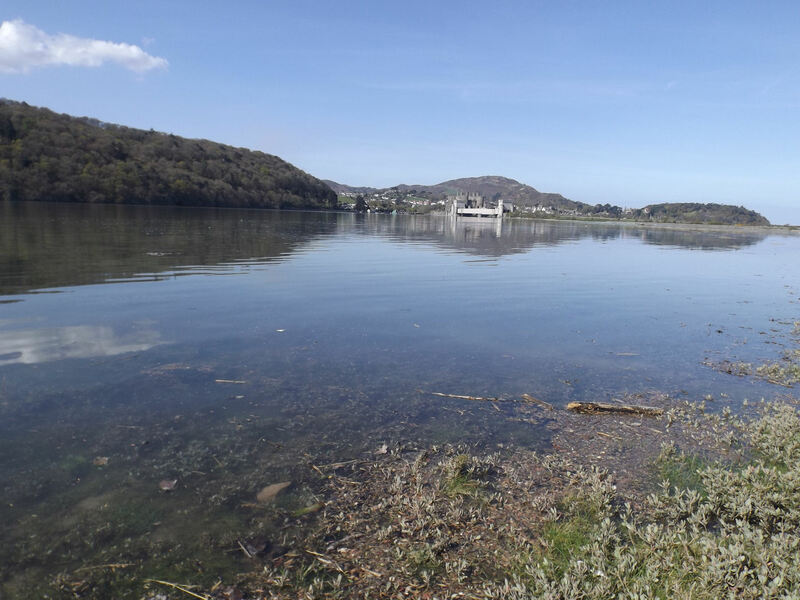 We look after all the basic needs of your paddling experience for you, including use of our kayaks, and we allocate someone to be a paddle partner/chaperone for you. Your try out session will not necessarily be coached and we don't expect any remarkable perfomance. Just come and enjoy yourself. Yes, there are and they usually depend on how specialised a paddler becomes in the sport. The differences are VERY large in terms of performance, stability and suitability. 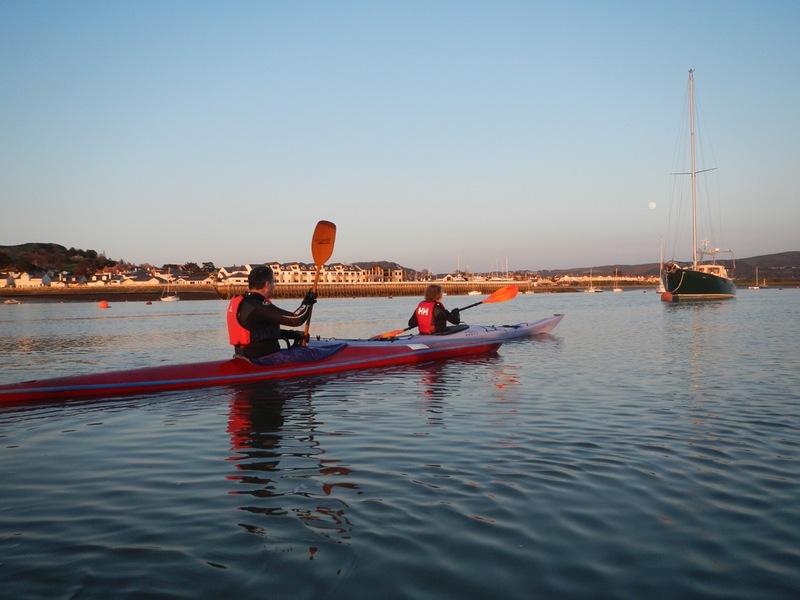 We have kayaks that are fairly easy to paddle in for the first time and some that are very tricky to master without experience & skills - the unstable kayaks in our club are fast and light in weight but are 'tippy' racing boats. 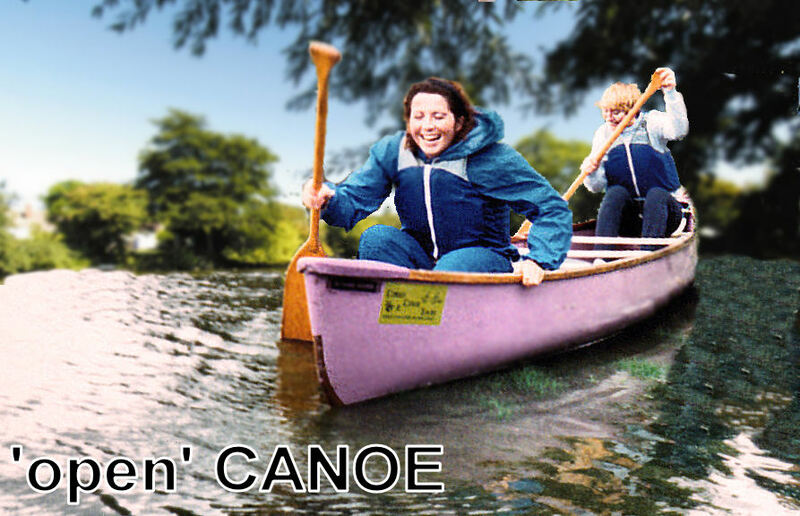 A canoe is an open sided, narrow boat. It may have one or more seats in the form of flat "planks" that reach from side to side of the boat. The paddler or passengers can either sit or kneel in these craft. Canoes have large carrying capacities, and you can definitely carry a lot of camping or picnic gear in them. 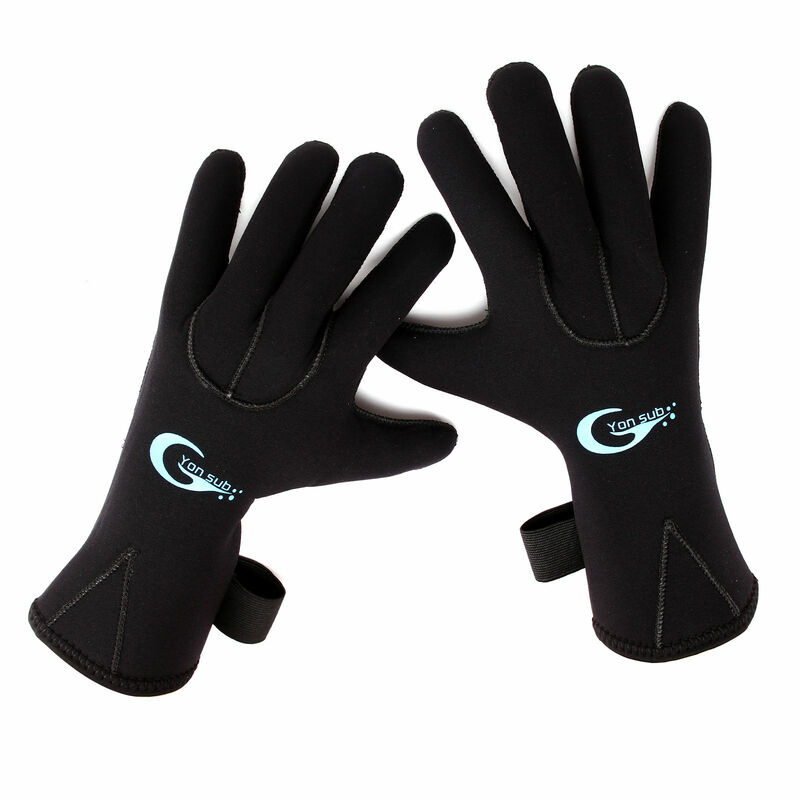 They are quite suitable for group or family outings and can carry passengers as well as the main paddler(s). They tend to be relatively slow on the water but fairly stable and forgiving boats. If two canoes are 'rafted together' with poles and rope they are extremely stable. Of course, there are variations of canoe for different aspects of the sport and racing in particular. It is possible to 'roll' some specialised types of canoe, but they will need to be specifically designed and kitted out for this purpose, i.e. almost all the space inside taken up with buoyancy compartments. Canoes are moved along and steered by a single bladed paddle. A kayak on the other hand is normally an enclosed vessel apart from the opening where you sit called the cockpit. In a sense, it’s a canoe with a 'deck' on it (but obviously not the kind of deck you would normally move about on). There are single and multiple seated kayaks available but single seaters are the most common. With the addition of a spray deck or spray skirt worn by the paddler, the closed construction can keep water out very effectively, whether it is by waves, splashing or rolling over. 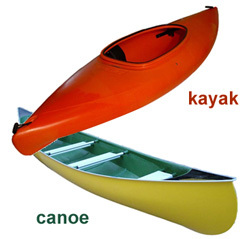 Kayaks are moved along or controlled with a two-blade paddle. Some also have rudders fitted. Most kayaks these days are made of plastic in some form or another. 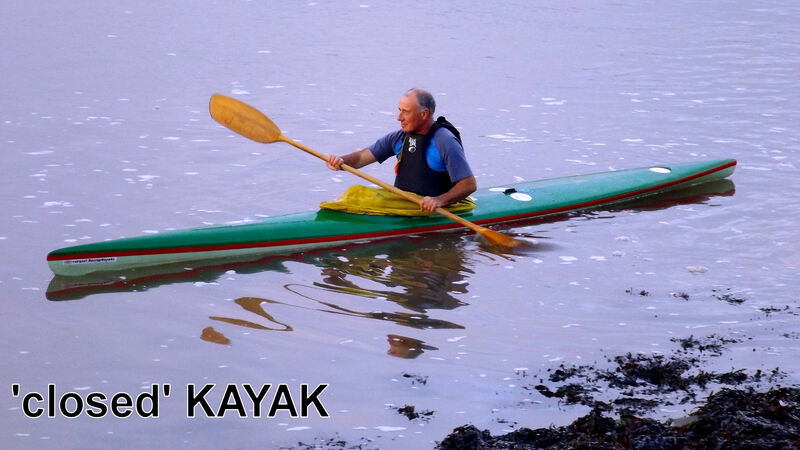 Even the phrase 'Glass Fibre Kayak' is in effect plastic resin, which is cured with a lattice of millions of tiny glass fibres. 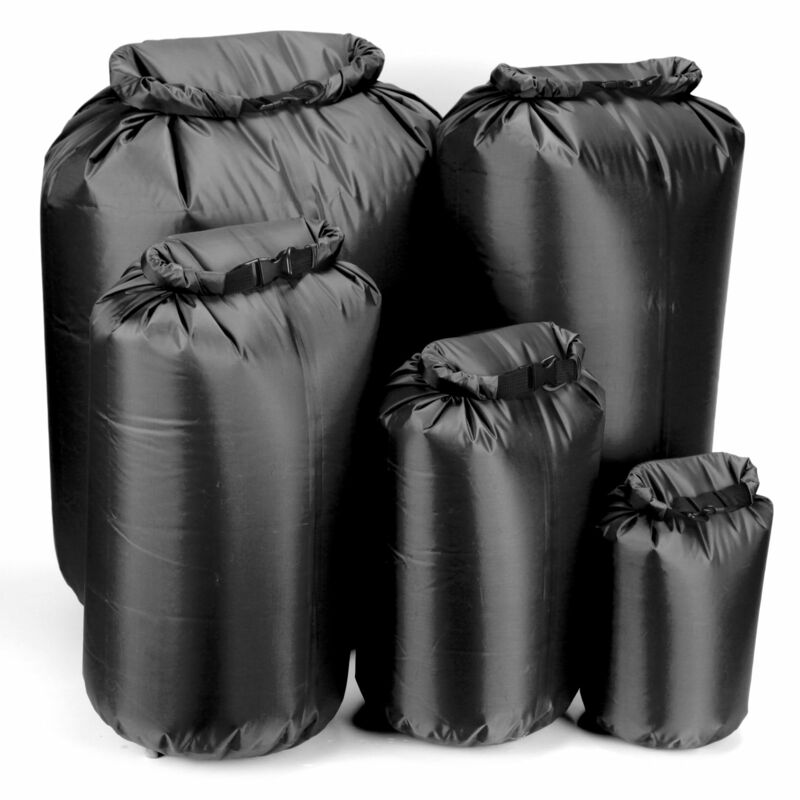 Other common plastic materials are tough polythene or polypropylene. You will get to recognise the differences fairly quickly as you handle and compare the different boat types side by side.